When looking for a TV to buy in Kenya, there are several things you need to consider. For most Kenyans, the most important consideration when buying a TV is price. TV prices in Kenya range from KES 7,000 for the cheapest TV models to the 84” Sony Bravia 4K LED TV that retails for KES 3.5 million. Today however, TV prices in Kenya have dropped significantly and if you do not want to spend more than KES 15,000 on a TV, you can still get an excellent digital TV in Kenya for less than KES 15,000. We would like to clarify and dispel the notion that buying a cheap TV in Kenya means you are buying a low-quality TV. This is not true as the big difference in TV prices in Kenya is due to features. The more features and advanced specs a TV has, the more expensive it is. Here are the cheapest TVs in Kenya. Statistics from the Kenya National Bureau of Statistics show that out of 8.7 million households in Kenya, only 4.5 million (52%) of households have access to TVs. The main cited for lack of TV sets is high TV prices in Kenya which many consider as not pocket friendly. One best way to ensure you buy a TV at a lower price is to be on the lookout for TV deals and offers. During certain times of the year, TV retailers usually give discounts and offers on TVs. Sellers discount TV prices for a number of reasons including; To build their name, reward customer loyalty, marketing drive or even to clear out stock. If you are patient and on the lookout, you will definitely get amazing TV offers and discount. To ensure you get a quality and genuine cheap TV in Kenya, it is important to first read reviews about the specific TV. Reviews provide insight on performance and credibility of the TV. You can read both expert and user reviews of the cheap tv you would like to buy. 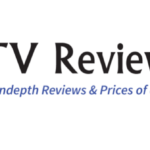 Expert review provides a professional opinion of the TV while user reviews give feedback from users who have used that particular TV. It is advisable to only buy a cheap TV in Kenya that has positive reviews. Any cheap TV you buy should be one which is digital. A digital TV allows you to receive over 50 free to air local channels without need for a decoder. With the advent of digital broadcasting in Kenya, those who do not have digital TVs cannot get TV signal. A report by Communication Authority states that since the digital migration in 2015, over one million Kenyans have been locked out receiving digital TV signals because of lack of set up boxes. Most deem set up boxes as an added expense. A smart TV in Kenya for example costs KES 5,000 more than the same TV with no smart features. For someone looking for an affordable TV, doing away with smart features will result in saving more than 5K. This is not a big deal as 85% of Kenyans with smart TVs do not use these smart features as it comes with additional cost of having to pay for internet data and subscription fees for streaming services. Coming to think of it, why would you need a smart TV and you have a smartphone and a laptop? According to research, most Kenyans prefer buying 32 inch TVs.